Here are the most surprising places I have found during my travel adventures in South Carolina (all approved by my preschool daughter). Today I’ll go over the Lowcountry: Charleston, Edisto, Beaufort, Hilton Head and Savannah. This place is FUN with capital letters! Best of all its free for kids and only $6 for adults. 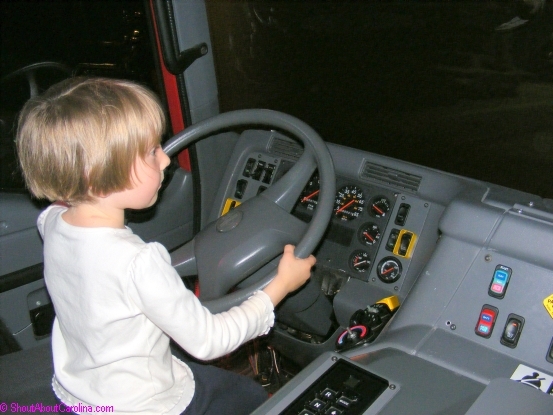 Children can climb-on a real fire truck, go through a full-fledged emergency response, including a simulated street driving, honk horns, talk on the radio and push all sorts of buttons. You get to see an amazing display of legendary fire engines from the 1700s to modern days. I loved learning about the fire fighting history and its technological marvels, the fire trivia (i.e. Benjamin Franklin started the first successful fire insurance company in US) and the most devastating fires in the world (from AD 64 in Rome to 1906 in San Francisco). The museum is open 10AM – 5PM (1PM on Sundays) and is located near the Tanger Outlets. Listed on the National Register of Historic Places, Charles Towne Landing, the birthplace of America, is a wonderful place filled with educational, recreational and fun things to do for everyone. The park is open daily 9AM to 5 PM. Admission is $5 adults, $3 children 6-15 and free for 3 and under. Start at the Visitors Center to see how life was like in the 1670s for the Lord Proprietors, settlers, native tribes, indentured servants, and slaves. 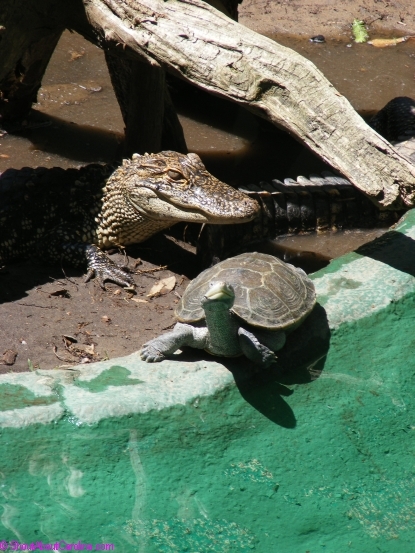 Visit the Animal Forest zoo home to pumas, bison, alligators, black bears, otters, bobcats, wolves and a variety of birds. Be a captain aboard Adventure, a life-size 17th century trading ship replica. Walk, stroll, jog or bike along the marsh or through the 80 acres of magnificent gardens, featuring thousands of azaleas, camellias and centuries old oak trees. The park features beautiful indoor and outdoor exhibits filled with native species as well as weird reptiles from around the world. Make sure to attend the live snake education programs (at 11, 1, 3 and 5PM) and the alligator feedings (12 and 4PM). Some may not have the stomach for it, yet we were thrilled! Kids really enjoy digging through pre-historic bones from once native saber tooth cats, whales, mammoths and giant bears. Edisto Island Serpentarium is open May through Labor Day Thursday to Saturdays from 10AM to 6PM (Monday to Saturday in the summer). Admission is $12.95 adults, $9.95 children (6-12), $5.95 children 4 and 5, free for those 3 and under. A deeply moving and inspirational historic site remnant of the 1745 Prince William Parish. Amid tragedy there hope and rebirth. The ruins have become a very popular site for outdoor wedding ceremonies and a photographers composition dream. Mark your calendar! Once a year, on the second Sunday after Easter, the prestigious St. Helena Church holds a public service at the ruins. The church ruins are located on Old Sheldon Road right off highway 21 between Beaufort and Yemassee. Hunting Island Lighthouse and State Park – Breath-taking views, romantic beach and lush maritime forest. Hunting Island State Park is the most popular park in South Carolina, and for good reasons. The park jewel is South Carolina’s only publicly accessible historic lighthouse. Dating from the 1870s, the Hunting Island Lighthouse shoots 170 feet into the air, rewarding visitors magnificent views of the Lowcountry marshland and the Atlantic Ocean. Enjoy 5 miles of soft sand beach, a wonderful lagoon home to seahorses and barracuda, thousands of acres of marsh and tidal creek, a fishing pier and some of the state’s most desirable campsites. Admire up-close loggerhead sea turtles, alligators, pelicans, dolphins and deer, Eastern diamondback rattlesnakes and the rare coral snakes. The loggerhead turtles nest on the island in the summer months. Park daily admission is $4 adults, $1.5 children age 6-15 and free for children 5 and younger. Lighthouse ticket is an additional $2. An extraordinary place honoring the US Marines history, life as a recruit, and military accomplishments. Admire hundreds of unusual weapons and enemy captures from legendary battles, laugh at the “good life as a recruit” posters and learn about the inspiring US Marines history. Little ones can earn the “Junior Recruit” title by successfully completing the museum exploration challenge. Admission is free and the museum is open daily from 10AM to 4:30PM. If time permits take the island driving tour. and a brilliant Butterfly Pavilion. Admission to the museum, outside grounds and the butterfly enclosure is free (guided tours range from $5 to $20 per person). Coastal Discovery Museum is open year around Monday to Saturday from 9AM to 4:30 PM, Sunday 11AM to 3PM. Here is an overview of the fun things you can do with kids outdoor. 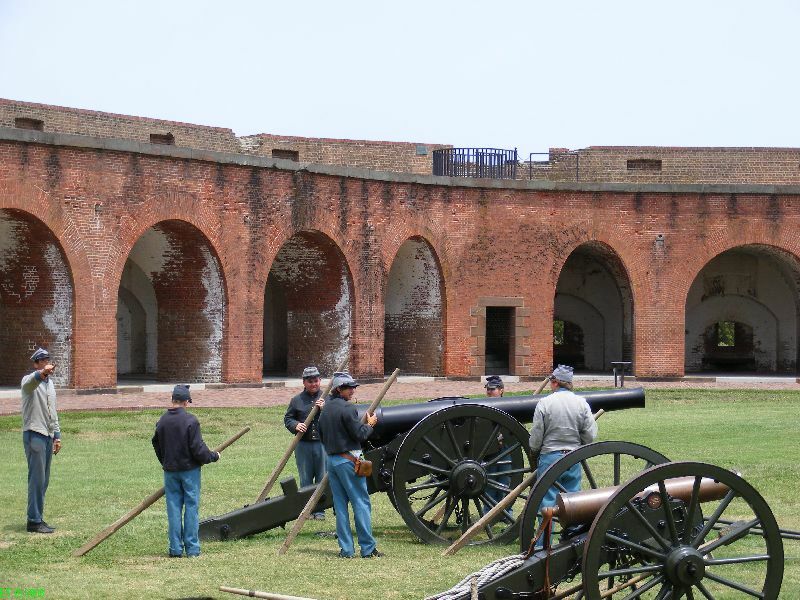 A memorable Civil War battle marked the end of masonry fortifications after the “indestructible” Fort Pulaski fell after 30 hours of cannon firings. Admission is free for kids under 16 and $3 for adults and is good for 6 days. 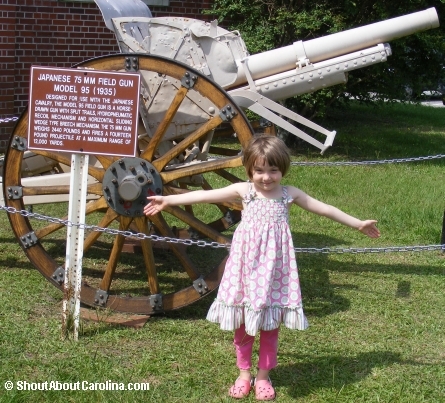 The Fort Pulaski National Monument has a plethora of educational family activities. Learn about the tragic story of the Immortal 600 Confederate officers, and mind-boggling military strategies and weapons deployed at the time. Make sure to attend the live musket and cannon fire demonstrations that are held each weekend. Walk the scenic 0.75 mile Overloook Trail to the Cockspur Island Lighthouse, originally built in 1837. The lighthouse escaped untouched during the 30 hours attack on the Fort despite the fact it was positioned straight in the line of fire! Life is beautiful in the historic Lowcountry! On our second Hilton Head vacation I finally got a chance to explore the amazing Sea Pines Forest Preserve. Admission is free, however visitors need $5 all day guest pass to get inside the Sea Pines Plantation. In less than 2 hours we came close to alligators, anhingas and blue herons, and stepped back in time along the old Lawton rice fields and the prehistoric Indian shell ring. That’s about all the outdoor trekking my 5 year old could take…so I drove to the Harbor Town playground, her favorite spot at Sea Pines. • Walk or bike on the historic trails through lush maritime forests and around pristine lakes. The most popular one is the 1 mile Boggy Gut board walk that takes you along an 1840 rice fields operation. Here is a detailed map along with the preserve overview. •	Admire the abundant wildlife, plants and trees. Common reptiles: alligators, snakes (copperhead, cottonmouth, black racer, Eastern King and yellow rat) and yellow-bellied turtles. The forest is a bird paradise, home or winter rest to over 200 species. Popular plants are the cat tail, saw grass, swamp willow, duck weed and marsh perry-wart. • Fish at one of the several freshwater lakes inside the preserve. Only children can fish at Lake Joe. You can drive or walk to Fish Island. There are picnic tables, a shelter and restrooms. Permits can be for free obtained at the CSA Security Office. More info by phone at (843) 671-7170. Organized “catch and release” fishing is provided by Sea Pines Plantation guides on Tuesdays and Thursdays from 9 to 10:30 AM. Fish for large mouth bass, crappie, bream and catfish with tackle provided by Shakespeare. Reservations are required, call (843) 842-1979. • Walk around a replica of a 4,000 years old Native American ceremonial site made out of oyster shells. Listed on the National Register of Historic Places, the Indian Shell Ring remains a mystery as no signs of permanent settlements have been found to date. Experts believe the area was used only for celebrations and hunting rituals. • Bring a bug spray! No see ums and mosquitoes really own the place. Apply sunscreen generously every 2 hours. Here is a virtual tour of our favorite historic sites you can visit on Hilton Head Island. 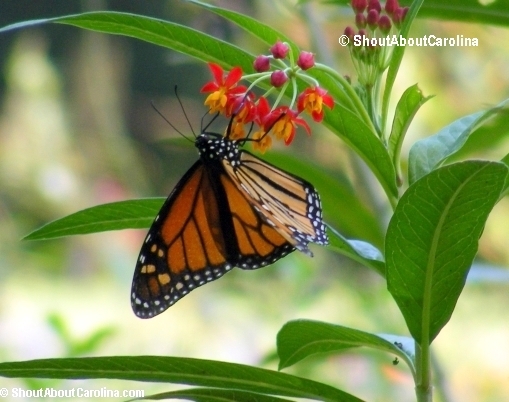 Live curious in the South Carolina Lowcouuntry!